Back in 2014, we never could have foreseen that the road to Revit would have brought us to a place where we are actively developing our own pipe fabrication software tools to help those who are pipe routing in Revit. But here we are four years later with a dedicated team focused on brainstorming, researching and programming tools that make pipe modeling procurement and fabrication within Revit a reality for not just us, but for engineers and contractors as well. With the release of Revit 2019, we wanted to outline the latest and greatest features of Victaulic Tools for Revit, our innovative Revit add-in. For those who like to read, outlined below you will find an overview of the routing tools featured in the toolbar. These features further simplify preconstruction, boost productivity and make projects even faster from the start. For our more visual followers, let us show you how these features will take your work to the next level with a live Revit tutorial. Just let us know you’re interested by clicking here, and we will handle the rest. Pipe assemblies are a challenge in Revit. There are a lot of clicks needed to interact with assemblies. Traditionally, a user would need to go to the project browser, then scroll way to the bottom to find the assemblies. Additionally, the user does not have the ability to filter the assemblies and even more frustrating than that, there aren’t notifications when the model has been altered. This becomes increasingly problematic when working on shared pipe models. How does the Victaulic Toolbar for Revit Plugin help with improving interactions with pipe assemblies? It will save you on clicks by making it easier to interact with assemblies. Save on time by providing notifications on altered items and provide a means to search assemblies by name. We provided a “dockable window” so that you can work in the pipe fabrication drawing, in real time. The window provides the user with the tools needed right at their fingertips to be able to interact with, detail, switch between and assign specific parameters to assemblies as well as the components within the assemblies. Also, our programmed notifications make identifying alterations much easier. And we’ve added a filter function so the user can locate pipe assemblies by name. Pipe Spooling is a challenge in Revit. The current VTFR “Create Assembly” tool allows a user to make a selection, create assemblies and click ok. Much faster than the traditional Revit solution, but there was room for improvement. How does the Victaulic Toolbar for Revit help with pipe spooling? Associating level information is a challenge in Revit. When piping and piping components need to be moved from one level to another, it is easy to move the pieces in Revit, but changing the associated level information used in tags and Bill of Material, is not. Before the “Leveler” tool, your only option was to delete the fittings, relocate pipe, re-associate all of pieces manually and then trim it all back together. How does the Victaulic Pipe Routing Toolbar for Revit help with associating levels? This feature saves time by reducing the number of clicks needed to re-associate level information after moving pieces. With one selection, the “Leveler” will re-associate all of the piping components you want to move with the correct level information. Making connections is a challenge in Revit. When making connections in Revit, the “pipe connectors” can be challenging to identify and difficult to grab. Making the correct selections at times may require the user to hunt for the correct view (plan view, section view, 3D view) in which to have Revit see the “pipe connectors” more clearly. How does the Victaulic Pipe Routing Toolbar for Revit help with making connections? 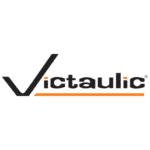 Still not sure if Victaulic’s pipe fabrication software tools are right for you? We’ve got some great YouTube videos , but there’s nothing like a live Revit tutorial. Click here and we will be in touch to give you a personalized tour through our toolbar. Check out our blog post to read about our transition to Revit.